Contact your unit HR representative for assistance with any involuntary terminations. If you have any feedback about our current Offboarding process, please let us know. As soon as you are aware of an employee’s resignation/retirement, it is important that you notify key roles such as your department HR representative, IT support, and College Research Officer (CRO). Each of these roles have time sensitive actions that need to be started. Send the separating employee to the Separating Employee Guide and ensure they work to complete the tasks. Upon notice of separation, the college’s Faculty Offboarding Point of Contact should be notified and the separating Faculty, Department Head, and College Research Officer(CRO) should follow the college’s defined offboarding process to work together on the completion of the items in this guide. At a minimum, the following tools (or equivalent department processes/tools) should be used and documentation of these completed actions should be maintained in the personnel file. The separation action is what is used to notify Human Resources of the separation and is what kicks off the offboarding process. It is critical that these are entered timely to ensure proper offboarding and to avoid overpayments of payroll. If an employee gives notice during the HR System lockout period, contact Regina House in Payroll AND your HRIM Specialist to discuss options of entering the action during this period to avoid overpayments. *Employees transferring within the university–the receiving department processes a JAR Transfer or Promotion action. NOTE: Is the separating employee a supervisor? If yes, update the “Reports To” for any subordinates to ensure seamless processing of time/leave. FAQs and instructions on how to process termination/retirement actions. Contact your HRIM Specialist with any questions. • Employees should provide a written resignation to their supervisor which includes their last anticipated day of work. A copy of this letter should be forwarded to the HRIM Specialist assigned to your college/division. It does not have to be the original and it can be sent via email. IMPORTANT NOTE – A letter is not required for term/temporary employees (including Fixed Term) whose appointments are ending on their expected end date. • Send departmental Personnel File to HRIM. If the separating employee’s employment-based immigration status was sponsored by NC State, the department or employee should reach out to International Employment at i9questions@ncsu.edu to inform them of the last day of employment. If the sponsoring unit has ended employment earlier than the end date on the status approval notice (or I-94 card), then it might be required to offer the employee reasonable costs of return transportation abroad if they are in H-1B or O-1 status. Please contact the International Employment Manager for more information. J-1 Scholars should complete and submit the Scholar Departure Form to the Office of International Services (available for download on OIS’s Forms for Scholars page). Use these two checklists to collect assets and terminate system/data access. This form should have initially been completed at the time of hire to document the assets (keys, access cards, computers, credit cards, microscopes, equipment, phones, vehicles, uniforms) and system access rights that were assigned and maintained in the employee file. At the time of separation, the form should be used to document the return of those assets and inactivation of system access (even if not used to initially assign assets). 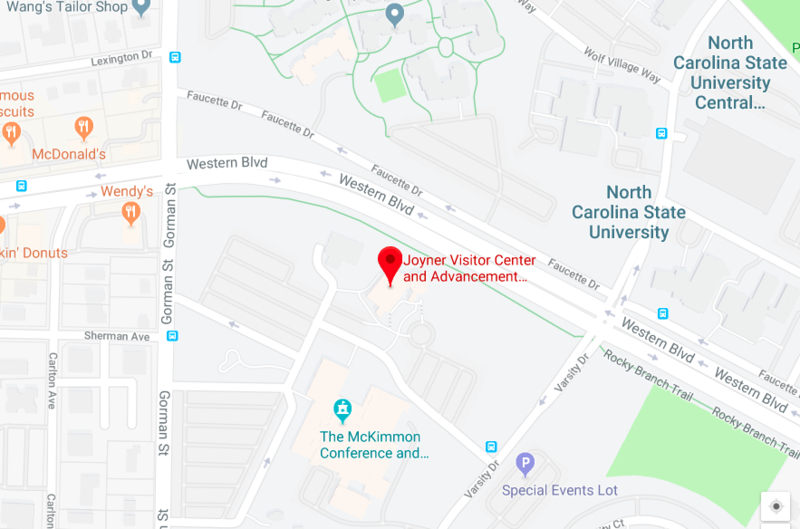 NOTE: Security Liaisons for the department must contact Security Applications & Technologies at sat@ncsu.edu to have key card door access removed for buildings, offices, labs, etc. Notify appropriate IT staff to review the individual’s current access to systems (e.g. Moodle, Google, PeopleSoft HR, Financials, SIS, RADAR, ADVANCE, etc)** and submit a revoke/termination access request through appropriate channels. **Important Note: Employees will need Duo and Google 2-Factor Authentication active to access any NC State University accounts after separating from the University. Campus Directory: Encourage your employee to change any customized information (e.g. working title) in the Campus Directory back to the default information. This will eliminate confusion and mis-information if the employee ever returns to the University in a different role. This is especially important for retirees to complete. Direct employee to complete the Knowledge Transfer Plan. Arrange a time to meet with your employee to discuss the status of their teaching / projects / committee involvement / etc. and plans for knowledge transfer as needed. In addition to any knowledge transfer that must take place, ensure any university information / data is transferred to an accessible secure shared drive and is not saved on individual drives, hard drives, or Google drives. Ensure all time and leave is approved in WolfTime before the termination date. Inaccurate balances have a direct impact on leave payout amounts. * Leave will be paid out the month following the separation with the exception of retirees. Leave for retirees is paid out in the month of retirement. * Employees, supervisors, and leave coordinators can continue to enter/approve leave actions up to the employees termination date. After the termination date, only the leave coordinator can enter actions. * To view final balances and to verify leave, use the forecasted balances as these include any future accruals and any pending/approved actions up to the employee’s termination date. * For FLSA subject employees, verify that sum of total hours worked and leave used for the last week equals 40 (or weekly FTE requirement) before they leave on their last day. * It is not recommended to use the Certify Leave process to view final leave balances prior to the termination date as these numbers will not reflect pending actions or ANY actions for the last week of employment until after the weekly Leave Calculations are finalized on the Tuesday after the termination date. Ensure all outstanding expenses & reimbursements have been submitted and approved before the employee’s last day. • Terminate the individual’s signature authority on bank accounts (such as Foundation accounts). Encourage separating employee to complete an Exit Survey. The University wants to better understand what faculty and staff value most in their workplace and why they leave. It is highly encouraged, but not mandatory, for all separating employees to complete an Exit Survey. The information furnished is confidential and will only be used in summary form as a means to identify patterns or trends in the work environment at the University. To request an in-person exit interview, please call 919-513-3245 or email Sheri Schwab at slschwab@ncsu.edu. In addition to the exit survey, the Office of Postdoctoral Affairs would like to gather some information regarding their next career opportunity to better understand the career trajectory of our postdocs. Please encourage postdocs to complete this short survey, or complete the paper version and return to Nicole Ditillo at nmditill@ncsu.edu or Campus Box 7503. Is separating employee engaged in research? The separating employee should meet with the faculty and/or graduate/post Doc student(s) to discuss the next steps. Once discussed and Department Head and/or Associate Dean of Research agree with the plan, they should meet with the College Research Officer (CRO) for assistance with transitioning the research portfolio. * Grants, contracts and cooperative agreements for which you do not serve as PI: For each, will you continue to work on the project through a subaward, consulting agreement, or other arrangement? Changes in key personnel effort commitment, including change in employing institution, usually require sponsor prior approval. * Other agreements such as data use agreements and membership agreements for which you are responsible. * Project personnel: Will support staff and trainees be supervised by someone else, transfer employment, or be given notice of a position ending date? * Laboratory safety/biohazard plans in which you are named: Disposition of waste, decontamination needs, identification of responsible individuals if operations continue. * Capital assets, materials and supplies: Transfer of items associated with active project transfers, update CAMS. * Records and data: Disposition of databases, lab notebooks, etc. Arrange for copies if you will continue to work on the project. * Intellectual property: Ensure invention disclosures are current and notify the Office of Technology Commercialization and New Ventures of departure. * Who owns the samples/materials, what leaves and what stays, who pays for storage/destruction, retention policy? Property Disposition and Transfer Policy and Procedures–Provides guidance on the disposal/transfer/loans of ALL NC State University property-regardless of value. Note: Of particular value is the decision tree at the end of the document providing a snap shot view of how to handle the disposal/transfer/loan of property. More guidance can be found in the PRR for Disposal of University Property. It is with mixed feelings that I announce [employee’s name] will be leaving our team and her/his last day will be [Date]. Please join me in thanking [employee’s name] for all he/she has done over the last [x months/years] to [provide some specific details about the employee’s contributions, projects, etc.]. Please join me in wishing [employee’s name] all the best in his/her future endeavors. • If this employee was an approver or initiator in campus systems or processes for your faculty or unit, contact the HR and Finance Partners in your area to identify impacts their departure might have on administration of budgets, HR functions, etc. It is important that their departure does not leave a gap in the approval processes required to maintain consistent faculty or unit operations. • Create appropriate reply-back messages and forwarding rules for the individual’s email account. • Update outgoing voicemail message and forward phone accordingly. Ensure the phone and email lists as well as website contact lists/information including their profile, have been updated by contacting the appropriate administrator(s) in your area. Review the position description with the employee to ensure it is still accurate and update as needed. Begin recruitment process if needed. Contact the Office of General Counsel (919-515-3071) if separating employee is involved in a Litigation Hold to arrange a successor custodian of records. Retain the individual’s student access (student email account, Moodle, etc.) if applicable. If a retiring employee wants to retain an email account, contact your department HR representative to submit a no-pay action in the HR System to maintain access. Note: Be sure to update/remove business phone numbers from the HR System so that they do not feed to the campus directory. Remind employee to update any customizations they entered to the online campus directory as those will remain visible if not updated. Upon approval of the Chancellor, emeritus/emerita status is granted to retiring full-time faculty in recognition of dedicated service at NC State University. It is an earned rank and as such entitles its holders to commensurate rights and privileges. Note: Once approved, emeritus status should be entered via JAR in the HR system using the appropriate “N” job code that is associated with their Emeritus Title.